ITV’s director of drama Steve November is leaving the network after 16 years, it was announced today. 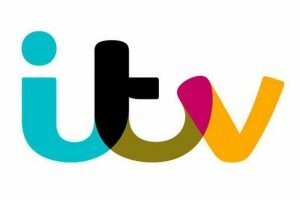 November had been responsible for ITV drama since April 2013, during which time he oversaw the continuing success of ITV hits such as Downton Abbey, Doc Martin and Broadchurch, alongside new commissions including Cilla and The Lost Honour Of Christopher Jefferies. The channel has several high-profile series in the pipeline including The Durrells, Marcella, Victoria and the reunion of Cold Feet. He first joined ITV as part of the commissioning team in 2008 as Head of Drama Series, overseeing a slate that included Foyle’s War and Law & Order:UK. Prior to joining ITV he produced flagship ITV soaps Emmerdale and Coronation Street. November’s exit comes at a challenging time for ITV following the end of ratings hit Downton Abbey. While the distribution side of the business ITV Studios has continued to expand and grow ambitiously with a number of acquisitions and first-look deals, the channel has suffered from a ratings decline. Big-budget gambles such as Jekyll And Hyde and Beowulf have not worked as hoped with audiences.